This post first appeared on the Sojourn Network website. One of the most important skills for a children’s ministry teacher to learn is how to manage behavior. 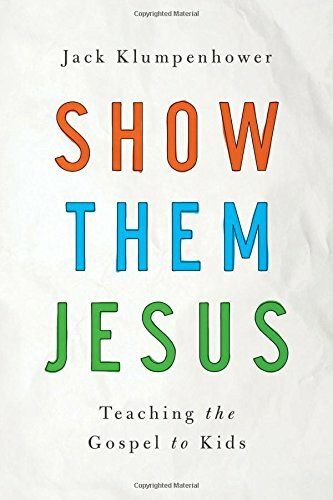 I’ve found that this is particularly tricky for classroom teachers who are conscientious about the gospel. We know that we’re not saved by our performance so creating a list of classroom rules or giving too much attention to how well behaved children are can seem harsh or legalistic. On the other hand, if a teacher doesn’t think about managing behavior at all, the class can get completely out of control, kids are difficult to teach, and the joy is completely sucked out of a ministry role. So, what can we do? How DO I manage my classroom? Should I use incentives? It wouldn’t do to teach that God’s rewards in salvation come freely, by grace, but that rewards in the church come by being good and memorizing verses. Nor would it work to teach that God values faith over superior churchy behavior, and then give prizes to kids who excel in churchy behavior. I couldn’t say that Jesus is better than absolutely anything else, but reward what kids learned about him with a slip of paper redeemable for candy. Sin-Aware. We don’t pretend that kids are basically good and just need a little direction. Instead, we expect absolutely everyone (including ourselves) to arrive with big problems only Jesus can fix. Delighting in Jesus. We won’t let kids use Jesus to get something else they want more. We don’t approach teaching, prayer, and worship as things to be done because they’re important and necessary—after which we turn to more ‘fun’ activities when it’s time to enjoy oneself. Rather, we communicate that nothing is more enjoyable than Jesus. Grace-Aware. We celebrate and model the work of Christ for us and in us, and we give God the credit for every good change that happens in a kid’s life or our own life. We expect God to bring growth. This creates a place of mercy and openness, because, when God gets the credit for spiritual progress, there’s no need for either one-upmanship or defensiveness, only deeper faith. Focused on the Heart. We’re never satisfied with merely manipulating outward behavior, but instead we recognize that kids who look obedient still need Jesus. We don’t let either rule-keeping kids or rule-breaking kids use their behavior as a way to avoid Christ. We seek heart-level growth in both. I love these goals. They give a great picture of what we’re aiming for in grace-based classrooms. But it’s possible to come into the classroom with the right heart and still do a poor job handling Johnny when he’s disruptive during the Bible story. In fact, some teachers I’ve talked to feel that if I take away incentives, their classroom culture will spiral into a war zone. This begs the question. Within a grace-based environment, what do I do to manage negative behavior? Be well prepared and organized. Know your lesson. Be structured and well paced. Half of classroom management is knowing exactly what you are doing. If you are prepared and organized, children will have less of an opportunity to get out of hand. Give clear expectations. Make instructions clear, and repeat them. Model gentleness, and use a firm tone only when necessary. Some of the best preschool teachers I know, have only four simple rules in their class. They use interactive hand motions to remind the children of these expectations. Here are the four rules: (1) First-time obedience (hold up one finger), (2) Hands up means be quiet (hands up), (3) ‘Five’ means give me your attention (holds up five fingers and explains that full attention—all five senses, though tasting and smelling aren’t necessary—should be focused on the teacher. Sometimes these teachers just say, “Give me five.”), and (4) Keep your hands and bodies to yourself (wiggle hands out and then quickly pull them in). Be consistent. Follow the same rules and same schedule every week, and repeat the rules every week. Week to week consistency helps children to feel safe and secure. Model the way. If the children are singing and doing hand motions during worship times, teachers should be as well. Don’t ask children to do activities that you are not prepared to do yourself. Watch your example, because children are great imitators. Give the reason why. Discuss the importance of obeying and being respectful with your class often, even with young toddlers. We want to motivate kids to sit quietly and listen, be active participants, and engage the lesson. Stress the importance of listening to God’s Word, obeying God by obeying teachers who are in authority, and loving others by listening to friends. You might say, “Johnny, it’s important to sit and listen quietly, because God is speaking to you through the Bible.” As we teach kids to participate in Bible study and worship gatherings, they are learning skills that they will carry with them into adulthood. Have a strategy in place for involving parents when a child persists in negative or disruptive behavior. You can download the attached ministry guide that summarizes this post. On the second page, there a sample policy for how to manage particularly disruptive or persistent negative behaviors by getting parents involved. Finally, here are a few last DON’T’S: No children’s ministry leader should ever use corporal punishment. Spanking is not appropriate for someone else’s child. Also, never ridicule, humiliate, or deny a child food or drink. Here’s the truth: The effective formation of our children requires a stable environment. For this reason, it’s important for a children’s ministry to supplement parental training by upholding high standards for behavior, respect, and discipline. I hope these four goals and nine strategies are helpful for you to that end. Jill Waltz had a post on building your ministry team. She says, "Building a successful team doesn’t happen on accident, it’s intentional. You are a leader of leaders." She goes on to list 3 steps to how to accomplish this. Trilla Newbell had a post on the ERLC interviewing Lindsay Swartz on teaching kids about race and reconciliation. It starts out this way, "If we believe that the topics of race, racial reconciliation and the unity found in the gospel are important, then in many ways, the conversation and study of these topics should begin and have prominence at home." This is an important and helpful post for moms and dads. The Gospel Coalition posted a 7 minute video with 3 different pastors discussing what the Bible says about the discipline of kids. Parents, this is a helpful reminder.